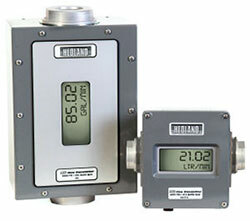 The Hedland product line includes over 10,000 in-line variable area flow meters, designed to monitor oil, phosphate ester, water and water-based emulsions, air and other compressed gases. 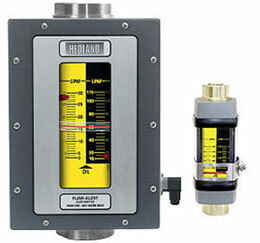 Hedland offers flow meters constructed of high-performance materials including: Anodized Aluminum, Brass, and Stainless Steel. 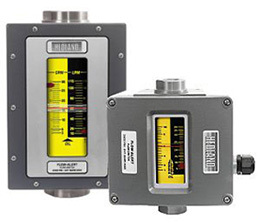 The Hedland meters are easy to install, operate in any position (no flow straighteners or special piping needed) and are accurate to ± 2% of full scale. 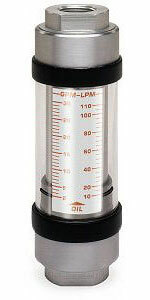 For higher pressure systems we recommend T303 Stainless Steel models, and for corrosive or caustic fluids, we recommend T316 Stainless Steel meters. 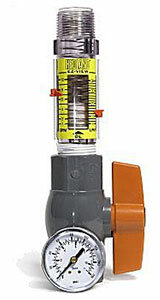 These meters can withstand pressures up to 6,000 psi (414 bar) with flow ranges up to 150 GPM (560 LPM).